Pairs feature flowers in blue, pink, yellow and more! 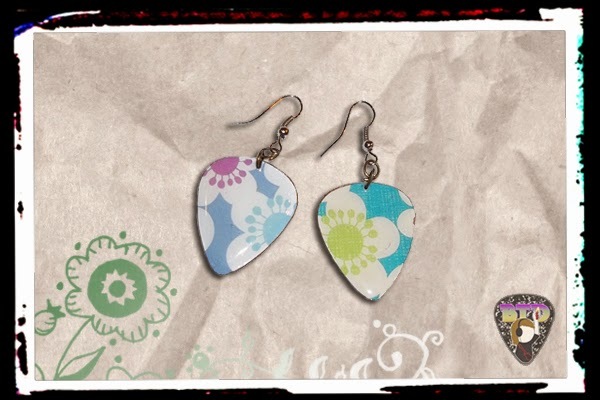 • Blue Flowers - Blue and white flower pattern guitar pick earrings. 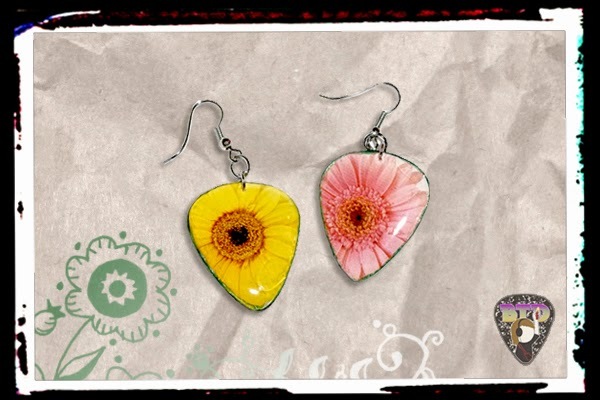 • Pink & Yellow Flowers - Pink and yellow flowers (with a glittery backside) guitar pick earrings. 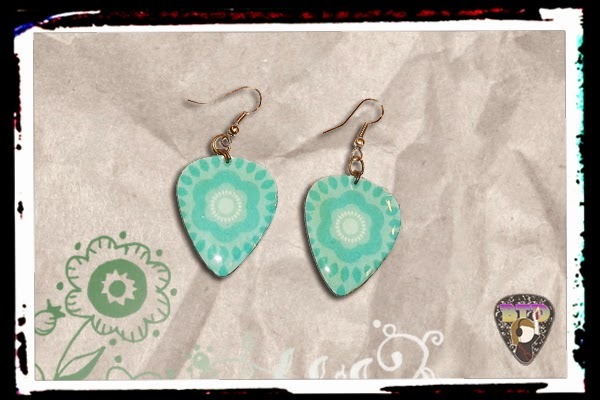 • Colorful Flowers - Shiny color flower pattern guitar pick earrings. Guitar pick charms are made from re-purposed materials hardened in epoxy resin for a plastic coat including an application of Mod Podge 3D Magic. Each pair comes with a cardboard paper backing with more info about Bite-the-dust.com - my rock website.